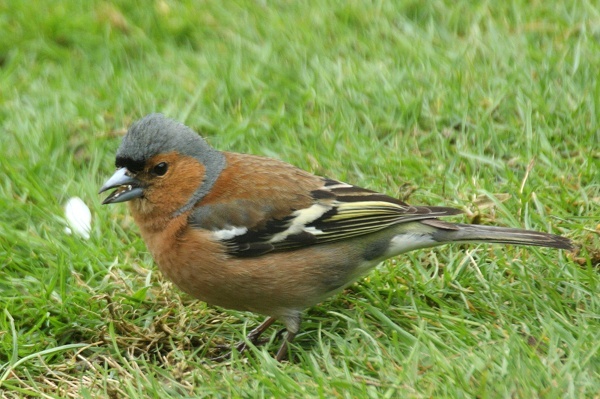 A very striking colourful bird which is one of the most common in Britain. 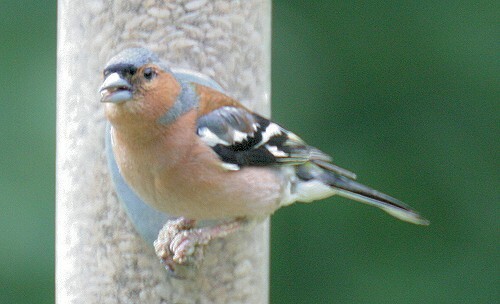 The male bird is has a blue/grey head and neck, red breast and cheeks and a chestnut back. 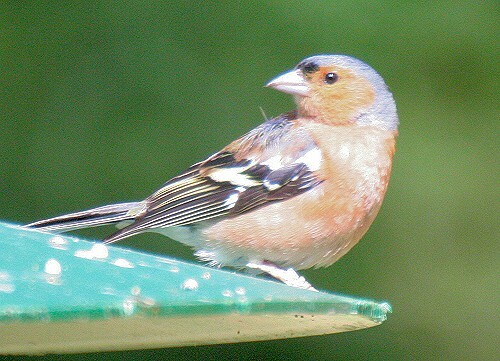 The female is less colourful with brown/grey appearance on the back and head and a paler, off-white chest. Both have white bars on the wings. 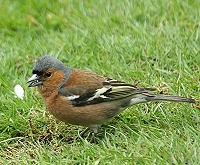 The chaffinch is seen in Britain all year round, but the population increases in winter with migration from Northern Europe.